Are you a student or do you work online ? Then pdf to word converter must be a headache for you. This is my personal experience as I'm both a student as well as digital marketer. I daily used to send dozens of documents to my hod and clients. At the same time I make sure that they should not be easily editable. So in this case I can't send documents and papers in word file, I must have to convert them into pdf format for security and safety purpose. Lets see what wikipedia defines about portable document format. So that's why PDF's are still the one of the safest methods to send documents online. But the question is you can't easily make PDF documents. You must have to create docx files first then you need PDF to word document converter tool to convert it into pdf. There are dozens of tools available online but some doesn't take more that 2000 words or some compulsory ask for your email id. So what to do in this case ? I was looking for best pdf to word converter tool since long and I also stumble upon quora too. You can check quora answers too. 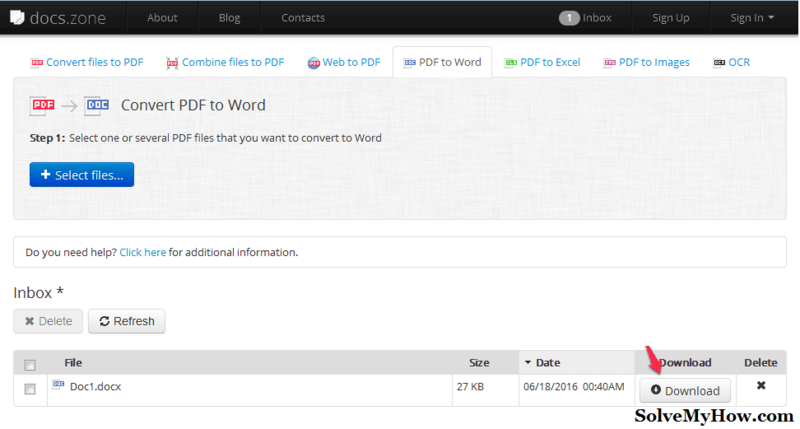 Around 22 people are suggesting different pdf-word conversion tools. What are the best PDF to Word converters - Quora? I'm personally using it in my day to day life and I'm really loving its accuracy. To use docs.zone is pretty easy and simple. You just need to follow 6 steps to convert pdf documents into word documents. So lets see the working of docx.zone ! To get started with the conversion process you just need to follow below mentioned simple 6 steps. Step 1 :- Open the PDF to word document converter. Look at the snap shot below about its look and feel. Isn't it looks neat and clean. 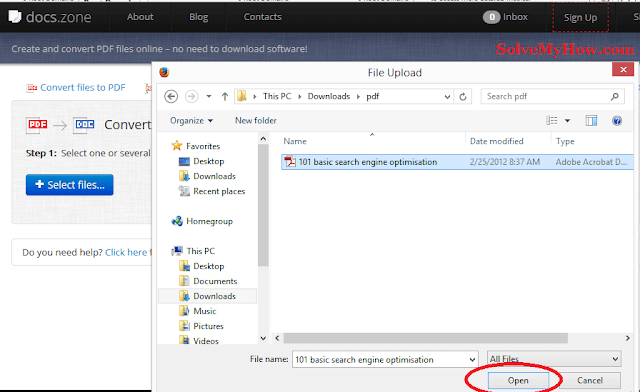 Step 2 :- Now click on "+Select files" button. I personally found docs.zone a flawless and effortless file conversion site. You can see the UI is pretty attractive and clean. The navigation is proper and you can stumble upon various categories very easily. Now once you click on "+Select files" button, a popup window will be opened. Step 3 :- Now select any pdf file you wanted to convert and click on open button. It pretty easy. Now you just need to select any pdf file from the popup window which you wanted to convert. Simple select the pdf file and click on open button. Step 4 :- Select conversion mode. Now you will get 3 best conversion modes. I generally go with Flowing as it works best for me. You can try all the modes. They are pretty decent and amazing. Step 5 :- Click on Start button. After selecting the mode. Simply click on start button to start the conversion process. P.S you can also add files by clicking "+Add files" button. Step 6 :- After couple of seconds, you will be given download button to download converted docx file. Look at the snap shot below. Simply click on download button. You will get converted word document file now. That's all. Wasn't this was too easy and simple. There are couple of reason for loving this tool, I've mentioned below. This tool is pretty fast and convenient. No need to download this tool. Its available free of cost for lifetime. No need to give your email address. So this was all about docs.zone best pdf to word document converter online. No file size limit, no need to give your email address. 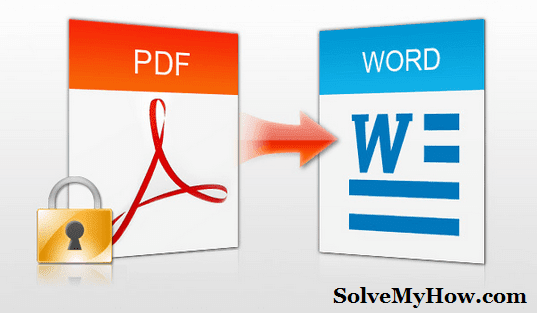 This is the best online pdf to word document conversion tool, I have ever seen and used. What are you waiting for ? Go ahead and give it a try. Do you need any help from me ? OR do you have any queries regarding docs.zone ? Please shoot your queries in the comments below. I would love to answer them. You can also connect with us on Facebook and you can also subscribe for SolveMyHow newsletter to get instant updates about best tips and tools right into your inbox !